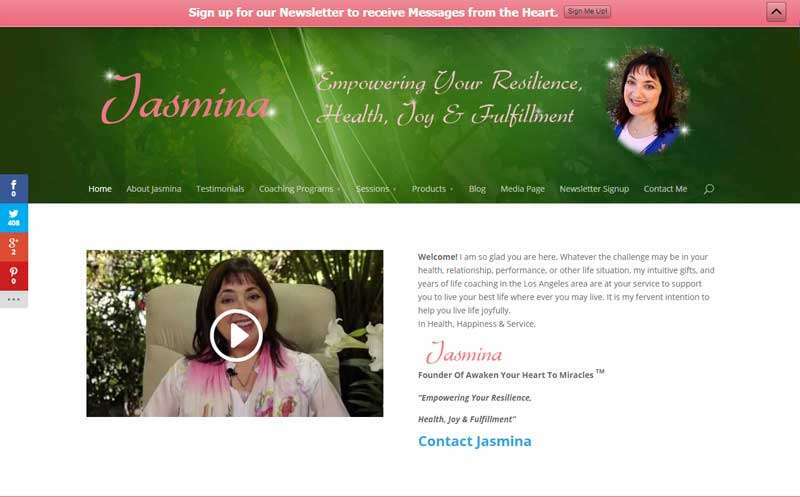 Whatever the challenges you may be experiencing in your health, relationship, performance, or other life situation, Jasmina’s intuitive gifts, and years of life coaching in the Los Angeles area are at your service. Jasmina is available to support you so you can live your best life where ever you may live. It is her intention to help you live life joyfully.